Dimensions 0.75 by 7.25 by 8.75 in. Amazon.com description: Product Description: "Adobe Photoshop CSX: Photographers' Guide" is aimed squarely at those who want to creatively use photography to produce compelling images and who want to master all the tools available to them. The emphasis of this approach is on both traditional and leading-edge photographic techniques, and how to reproduce or enhance them in Photoshop CSX. Readers don't need to be ace photographers or Photoshop experts to create these eye-catching effects. All that's needed is this straightforward, "all-meat" book that shows how to use Photoshop CSX to enhance images with the kinds of effects people admire. This book includes a companion Web site with all of the example files and sample filters. David D. Busch is a seasoned author, photographer, and image-editing guru. The author's expertise, along the functionality of the software and the precise and easy-to-follow information this book has to offer makes this the perfect combination from which to learn this exciting and vastly growing technology. 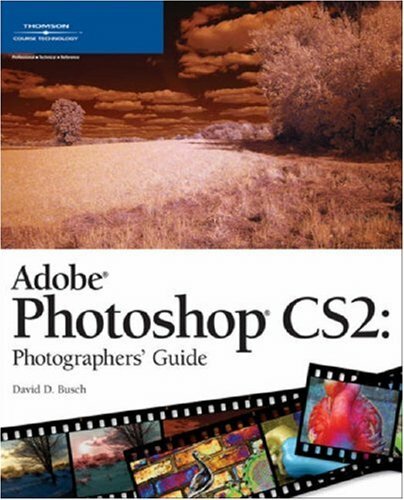 About: "Adobe Photoshop CSX: Photographers' Guide" is aimed squarely at those who want to creatively use photography to produce compelling images and who want to master all the tools available to them.